Estes Park Town Hall is located at 170 MacGregor Avenue, Estes Park, CO 80517; phone: 970-586-5331. Photo: Edgemont (Hallet House; Shad-Kerr Ranch), ca. 1881, 1861 Marys Lake Road, Estes Park, CO. Listed on the National Register of Historic Places in 1998. Photographed by User:Magicpiano (own work), 2012, [cc-by-3.0 (creativecommons.org/licenses/by/3.0)], via Wikimedia Commons, accessed October, 2014. 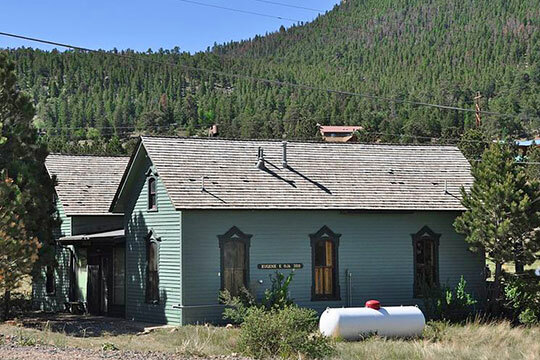 The area comprising the Town of Estes Park was settled about 1859; it was incorporated in 1917.